ok, i have a replacement actuator and need a little help. i swapped in the replacement and now when i lock the doors the replacement actuator works, but there is a mechanical rattle for about 3 seconds after the lock is pulled down, as if the actuator is still firing after the lock is down, but then stops. no noise when i unlock. again, the locks do go up and down, but it seems as if the actuator is still firing when the locks are shut. did i get a bad actuator, or are the wires screwed up or something else? thanks. What does the actuator do without the linkage connected to it? Does it make the same noise? i think it still does that power rattle even when unconnected, but i'll take everything apart again and check. what are you getting at? if it still happens without the linkage connected then the actuator is shot? or something else? thanks. If it makes the noise when not connected to anything then you know its not an adjustment issue. I tested all 4 of mine without any linkage connected to them and they dont make any noise like you described. It sounds like you may have a defective unit. BTW: Is this a two or five wire actuator? If its a two wire then wiring would not be an issue...I cant speak for the 5 wire unit since I have not messed with one. it's the two-wire actuator. i'm thinking defective unit, but we'll see. my replacement is not one of those inexpensive new ones listed earlier in this thread. it's from an old disco and i guess i'll be contacting the supplier. Since the third post this thread has been about the $5 replacement actuators. Sounds like someone sold you a POS used actuator. If this is a D1 don't even bother with a used unit, they all crap out, just get some of the $5 replacements. As for those inexpensive new ones listed earlier in the thread, they seem to be a direct fit, with maybe some mods, but do the wires go into the plug or do i have to cut them all and splice them? The nice thing about the OEM replacement D1 actuators is they are so easy to swap in, just unplug, remove from the mount, plug replacement in and re-mount, bingo. Its all covered in this thread...but in general they bolt right in. Front door mounts need a slight mod, I could probably pull my door panel off and take a pic for you if the description I provided a few posts ago does not help you out. For the cargo door and rear doors they bolted right in with just a slight trim of a plastic bushing. Otherwise, all you need to do is cut the harness off the old actuators and solder them to the correct wires on the new ones. Twist the wires on at first for testing to make sure you have them wired correctly...then solder and heat shrink the connections. As for OE ones, your right, they go right in, but 90% of the used ones you find don't work very well and even used they are not cheap. For about $40 you can replace all of the actuators in an afternoon with brand new ones that are quieter and stronger than the OE ones...its well worth the effort. Beats the hell out of paying $150-$200 per actuator for new OE units. Anyone know if these will work on a DII? I had to change two springs: the tailgate one, and the driver door. The springs are easy to get at the stores that repair these car mechanical doings. Approx 2 turns and 3/8" diameter. You have to adapt both ends in order to clamp them in their site. The right doors springs are different from the left ones. The symptom is that you have to pull the inside button to open the door, and the actuator is not involved in this fail. ...but now I am suffering this "right side rear door actuator syndrom" and reading this I have a question: Why we all got this thing in this door at first? I dismounted the door, checked the spring, cleaned the mechanism, lubrified with grease and it worked fine.... for two more days . 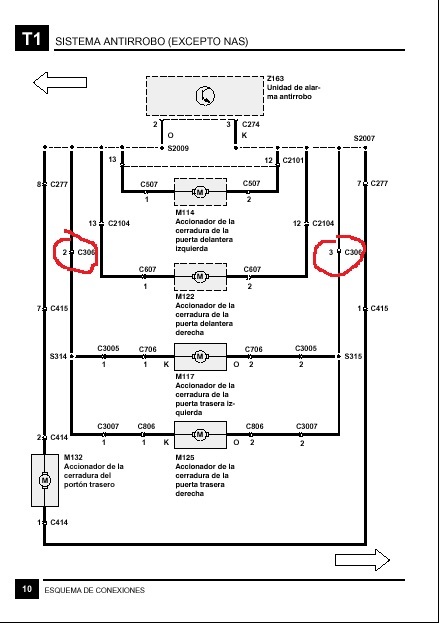 In the electric manual you can read that there is a temporysed current limited signal, for moving the actuators. All two wired actuators have electric motors and gears without an electric limiting switch, so if the signal is longer time applied, this sound is the plastic gear teeths inside the actuator eating each other. I opened the slowly actuator, and it is like new, no dust, the "Mabuchi" motor is like new. Has anybody tried to interchange this rear actuators? Did still the same actuator fail or it was the location? At last, sorry for my uncommon spelling. My language is spanish, so i didn't it too bad, isn´t? Hello, you never stop acquiring experience in life. I share one respect to this issue, from which many have found a solution by changing the actuator, (I could not, because I changed it for another new one and there were no changes) occasionally every 10 closes the right rear button remained open. Some time ago I returned to analyze what electrical difference have in my D1 the two rear actuators with respect to the rest of the actuators. As 1 out of 10 operations the right rear side remained open and the left back side occasionally remained closed. I searched for the location according to the manual. The aforementioned C306 is in the center console below the cubby box. I tried to access it by removing rear ashtray. You have to have the girl hand, haha! 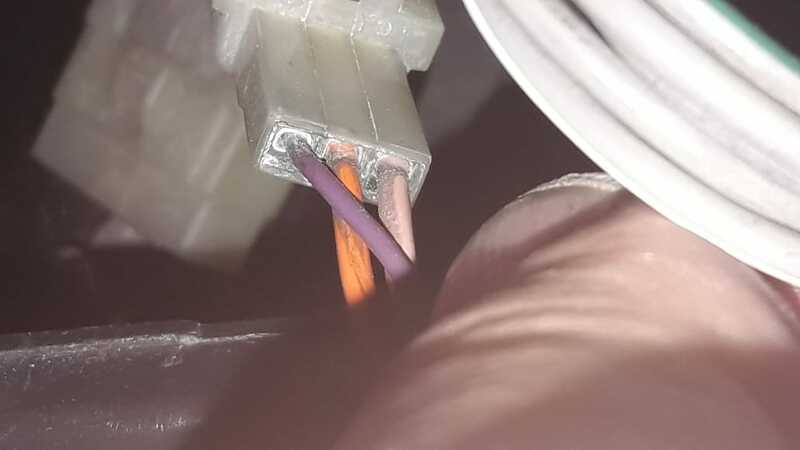 to put it there and take the connector. In the case of my Disco it was not the ugliest thing I saw in my life but I saw it a little dirty, even sulfated. In a terminal we have copper wire joints with a tin-plated brass terminal, which in turn touches another tin-plated brass terminal and is crimped in copper wire. The presence of ambient humidity in non-welded contacts can allow sulfation in the presence of direct current, which could be evident after several years ... Pressing its trigger and separating the tab, I sprayed both halves then with WD40, moved it a little and I closed everything again. Here we can see one end of the chip union that I am referring to, in the case of other D1 it looks impeccable. If we operated the automatic doors with this disconnected, tailgate and both front doors would work. In this case also those buttons felt a bit like "slow" and now they are working with the same speed as a whole. Maybe it is not the problem in all cases but it was so obvious the change that I recommend in case of having random problems with the back doors, do this simple check.